The old Rectory stands in Coleshill Street, across Trinity Hill from the Churchyard. On the opposite side of the road, nos. 1,3 and 5, is another former rectory, but it stopped being a Rectory three hundred years ago. 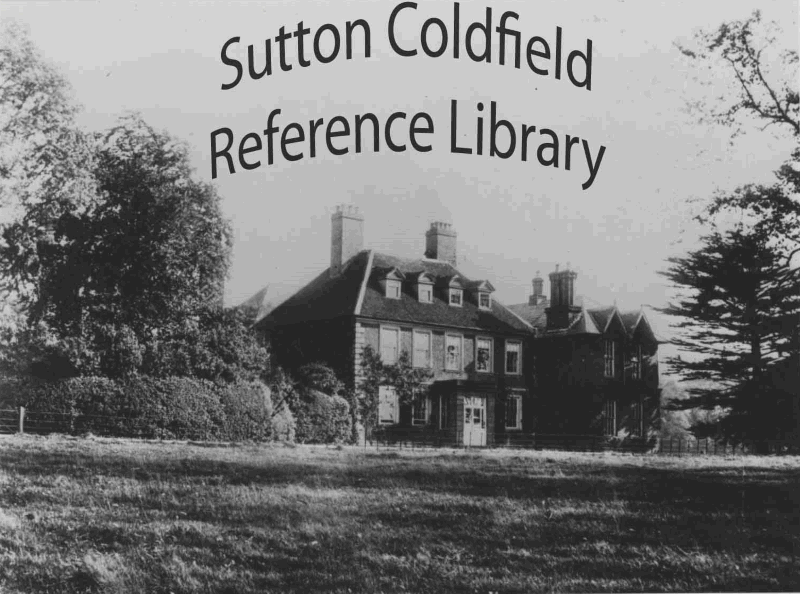 In 1689 John Riland was presented to the living at Sutton Coldfield, and he moved into the Rectory which was then equal to the best of the residences then existing in the place. But it was not good enough for him, and in 1701 he commissioned a new rectory, 45 feet wide, 35 feet deep and 23 feet high. This splendid new Rectory, which cost £239.11s.9d. to build, was probably designed by the Sutton architect Sir William Wilson. It was built next to the Rector’s glebe land, and stood on Rectory Road opposite the junction with Bedford Road. He moved there with his wife and seven children and their servants, and sold the former Rectory to defray his expenses. The Rectory remained in the hands of the Riland family for the next two hundred years, and was improved by the addition of a park and an avenue of lime trees extending from its front door towards the church. Sarah Holbeche recorded that in 1819 it “was inhabited by the Good Old Rector Reverend John Riland, with his full-bottomed wig and two daughters, Priscilla and Lucy, looked upon as great oddities in those days.” The next Rector, William Riland Bedford, added a new wing in 1833, but the rectory was proving unsatisfactory in some respects. The lane leading to the rectory from Sutton was called Slash Lane, following the course of the present Riland Road and Rectory Road, very unpleasant in wet weather, and in 1869 the new rectory in Coleshill Street was built. In 1870 the Rector cut a new road linking this new Rectory to the old one. The vulgar name Slash Lane was changed to Riland Road up to the corner, and the rest of Slash Lane and Boot Hill together with the new road became Rectory Road. This new section of Rectory Road was made just in time - had the road not been there, the Midland Railway would not have been obliged to build the Rectory Road bridge in the 1870s!